When it comes to establishing your brand, it’s important to understand the legal issues that can ensure its protection. These issues regard patent registration, trademark, and copyright of the brand’s name and symbols. To fully protect the brand, there need to be clear contracts, strict secrecy, and constant watch over all legal filings. Also, it’s wise to act fast and register as quickly as possible to avoid any conflict or claims from the competition. For guidance on steering a brand down the path to protection, MarketingProfs.com offered the following advice on nine prime legal issues. 1. Preserve Patent Privacy – Keep any pending patents and intellectual property developments a well-guarded secret. It’s important to have a controlled flow of information that ensures any product information is only seen by the people who need to know. Don’t share any sensitive details until the patent is officially pending or in effect. 2. Enforce Patent Ownership – Develop a formal contract among the partners and product developers that clearly states each member’s ownership rights in any pending patents, as well as exactly how intellectual property will be divided. Demand explicit contractual claims on any pending intellectual property or patents to make sure that developers can’t later claim any ownership rights without prior agreement. 3. Patent Your Product as Soon as Possible – To save time and money, first focus on domestic patents until growth demands international protection. A smart temporary protection strategy is to apply for a provisional application for patent, which allows the inventor to protect any intellectual property and products with much less bureaucratic red tape while the patent awaits approval. 4. Perform a Trademark Clearance Search – It is essential to find out whether any aspect of the product is already trademarked. This includes brand names, logos, symbols, taglines and images. A clearance search service can perform a thorough search for a fee or this can be quickly handled by checking the Trademark Electronic System at the Patent and Trademark Office. 5. File for Trademark Registration – After determining that there are no other claims on the product, file a trademark application. Registration forms can be downloaded and filed through the Trademark Electronic System for a small fee. While awaiting approval, protect your claim by assigning a TM or SM marker to any pending trademarks. The TM is used for product-based registrations and the SM applies to service-based trademarks. Formally registered trademarks are labeled with an (R) ® to indicate full ownership. 6. Check for any Brand-Based Trademark Derivatives – Occasionally, companies with official brand registrations fail to register brand derivatives related to digital and social media efforts, so search to ensure that social media tags with the product’s name belong only to you. Be sure to register all principal domain suffixes for the brand name or tagline online. This will provide protection in the event that someone steals the name for a social media tag or domain name. 7. Set Up Clear IP Licensing Limits – It is vital to establish precise procedures regarding the licensing of intellectual property to third parties. For any later licensing or franchising contracts, ensure that the legal and financial conditions of the partnership are clearly defined on paper and have been drafted or reviewed by legal professionals. 8. Mark Your Legal Ownership – Denote your ownership of any written material published with a small copyright marker or the word “copyright” and the year of publication. 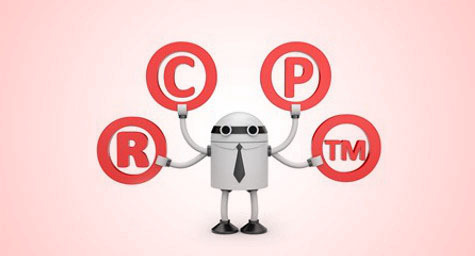 In addition, register all of your more valuable copyrights with the U.S Copyright Office. All individual works must be filed separately for a small fee. 9. Establish Clear Copyright Ownership – Have clear contractual agreements with all third parties that are writing materials related to the product. Make sure that these contracts clearly recognize the company as the copyright owner. These agreements can provide legal protection in case the third party decides to use the written materials for their own purposes later on. Protecting your brand should be a top priority and these nine legal issues should help ensure its security every step of the way. Protect your brand from all competition and under any condition. Contact MDG Advertising today at 561-338-7797, or visit mdgadvertising.com.